The attacks are not often covered by French media and the Catholic Church in France wants to play it low-key. France, once one of the bastions of the Catholic faith, has witnessed a rising number of attacks on its Roman Catholic churches. 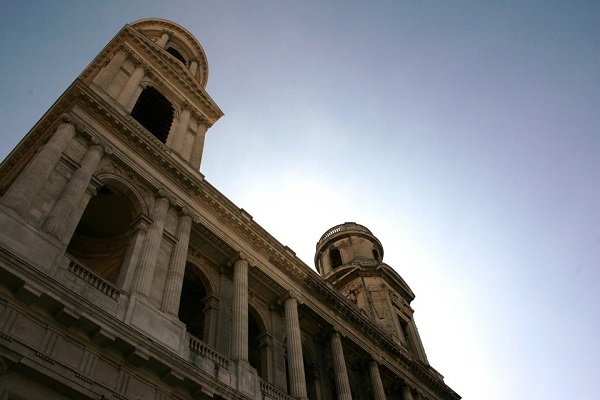 A fire at St. Sulpice, considered the second biggest church within Paris city limits, has brought to attention other instances of church vandalism which have rocked the French faithful. A prominent newspaper carried an article on this subject, mentioning several other churches which were vandalized, like Aveyron’s Saint Jean des Balmes, and the instance of teenagers urinating into holy water at the Villeneuve de Berg church in Ardeche. French media do not prioritize reports about churches getting vandalized. The St. Sulpice Church in Paris, which shot to global fame as the church used in filming the Hollywood film Da Vinci Code adapted from a book of the same name written by American author Dan Brown, caught fire on March 31. Firefighters swiftly brought the fire under control. According to a spokesperson of the fire brigade, the fire began in the early afternoon, when only four people were inside the church. Flames swiftly spread first to the large doors and then to the stained glass area above the door. A nearby stairway was affected. The St. Sulpice church is a 17th century structure with foundations built during the Middle Ages. It is the home to three paintings of Eugene Delacroix, a leading figure of the 19th century French Romantic Movement. Other instances of vandalism of French Catholic churches include a smashed statue of Mary in a Paris suburb and Satanists attacking Catholic holy places all over France. I've been to St.-Sulpice! I can't believe someone set fire to this beautiful church! Present day French Catholic leaders have done nothing more than official denunciations of such attacks, saying they do not want to dramatize the incident. Archbishop Georges Pontier, who heads the French bishops conference, said church members opt for a reasonable attitude and stay away from any discourse of persecution. Critics say there are good reasons as to why the French Catholic establishment has adopted this measured stand. The church is reluctant to begin a campaign which may soon turn the public spotlight towards the distressingly regular sexual abuse scandals perpetrated by predatory priests on minors and vulnerable people inside church property. It is not only the Catholic churches which have suffered vandalism at the hands of miscreants. Multiple attacks have also been reported on properties belonging to other religions, like Muslim and Jewish ones. They are much fewer due to their minority status.